Thanksgiving dinner leftovers are as much of a tradition during the holiday, as, well, Thanksgiving dinner itself. You are no doubt going to be leaving the get-together, or loading up your own refrigerator if you happened to be the host, with containers full of food. You could just reheat those leftovers and recreate the initial meal experience but where is the fun in that? Get creative and turn that leftover bird into something entirely new for your post-Thanksgiving meal planning. 1. Taco Salad: Thanksgiving tacos? Of course, don’t be such a Puritan. A taco salad is a fun way to mix it up a little during the holidays. The turkey naturally has less fat than beef, so you are already cutting back on calories. Just add lots of vegetables, such as lettuce, tomato, onions, and red peppers. Don’t go overboard with the cheese and substitute avocado instead of sour cream for a more nutritious alternative. 2. Turkey and Veggie Casserole: Want to reinvent your Thanksgiving leftover into something familiarly unique? Try making all those leftovers into a casserole. Mix those leftover vegetable like carrots, Brussels sprouts, and green beans with shredded turkey into a casserole dish with some mashed cauliflower or cauliflower rice, and just a little bit of cheese on top. Voila. You have an easy, hearty meal that is still healthy. 3. A Sandwich or Wrap: The day-after-Thanksgiving-dinner sandwich is a staple of all leftovers-based meals. If you are trying to limit your carbohydrate intake you can opt for a wrap. If you go with a sandwich, try to use whole wheat or whole grain bread and pile high a lot of veggies. Try a sandwich made with turkey, some stuffing, and cranberry sauce or as a wrap using a whole wheat or spinach tortilla. 4. Turkey Soup or Chili: For something to warm you up on a cold evening, shred your leftover turkey and add it to your favorite soup or chili. This is yet another way to use up veggies in your house and have something hearty, but also healthy. You can use your favorite recipe or just combine your favorite veggies, broth or water, and seasonings. 6. Quinoa Salad: Quinoa salad is another simple dish that can use turkey as an ingredient. Quinoa is considered a superfood thanks to all the nutrients in it. Just cut your leftover turkey into small cubes, then add it to your cooked quinoa with other veggies like carrots and peas. There is nothing like turkey the day after Thanksgiving. And the next day. Turn your turkey leftovers into healthy and easy leftover ideas with these suggestions. Those all sound like great ideas for the Thanksgiving leftovers. I especially like the sound of the tacos and casserole. I LOVE these! I must admit, most of my Thanksgiving leftover recipes are decidedly UNhealthy, so I can’t wait to try these. I am totally going to bookmark this one. I always have trouble with leftovers. You can only have so many turkey sandwiches LOL. I always hope we have some turkey left so I can use the leftovers to make my favorite turkey dishes. You’ve got some great ideas to add to my collection. Yes, I have some favorite dishes that I usually make with chicken and they are great with turkey. I make them after Thanksgiving. I love putting all of my leftovers into a sandwich or on a wrap and waiting them that way! YUM!! I can not believe it is time for Thanksgiving already this year!!! Love these ideas we always end up with a ton of leftovers every year. Ahh the leftovers from Thanksgiving. The leftovers always taste better than the meal. THese all sound like delicious leftover options. I love the idea of a taco salad with turkey! That sounds so yummy. These are some awesome ideas of what to do with left overs – I can’t believe how quickly this year is going by! These are all great leftover ideas. We usually make sandwiches with our leftover turkey and ham. These are wonderful ideas!! I am going to try them all, my son would love them. I am a big fan of having leftover Turkey Sandwiches and having Turkey Salads. There is something about the next day that makes the meal taste even better. It seems like turkey casserole is big around here. Everyone does that with their leftover turkey in my family. I have to say that I like it though. These are awesome holiday leftover suggestions and I love that they’re healthy. I know I am always craving something fresh and light after all of those heavy carbs. We usually make sandwiches with ours. Not that we have that many leftovers! The leftover sandwich is my favorite way to eat Thanksgiving leftovers. Turkey, cranberry relish, maybe a little dressing….so good. These all sound like great ideas! Now I wish I was cooking this year so I could have leftovers to use! I think my husband is looking forward to turkey ala king the most. Personally I’ll just have lots of mashed potatoes fried. But I have never thought to make salads or tacos out of it, so that’s awesome! I love a good turkey sandwich. Turkey soup might be worth a try this year though. I love all your ideas! I can’t ever have too many options when it comes to repurposing all that food! The quinoa salad is right in my wheelhouse! These are all really great Thanksgiving recipe ideas. I really like that these are all healthy! These are all great ideas! I need to keep these in mind because normally I just toss everything out. I know this is going to sound weird, but we have never had any leftovers. I am bummed. The leftovers look as good as the original! 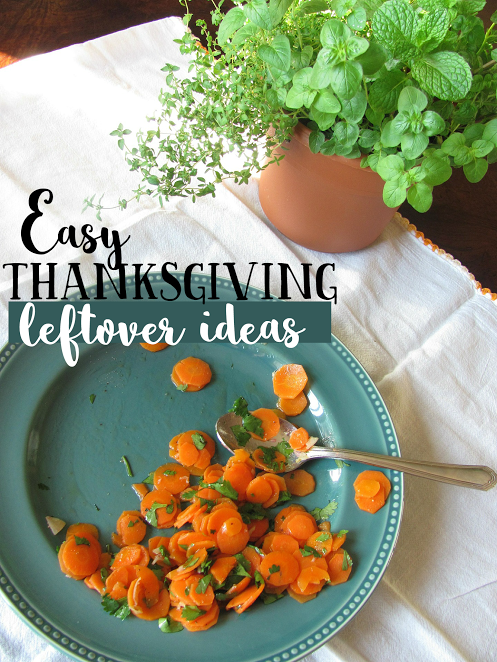 This is such a great idea for leftovers! I especially like the idea to make taco and quinoa salad. Thanks for sharing ! I always love putting together a casserole with our leftover dishes at Thanksgiving. This year we aren’t hosting, but I do plan on having extras on Christmas for some yummy leftover meals. OMG I am so glad I read this…. Taco SOUP is my fav… and such a great idea to make! THIS IS LEGIT. I always say no to leftovers but not anymore!!!! There will always be leftovers during this season and it’s good to have a list of recipes where you can use them in! Awesome list, everything sounds good! I love this list! I always run out of ideas of what to do with the left overs. These dishes are something that that kids will enjoy as well. Great idea to add on my list… This recipe can help me to save money and left overs will be more tasty..
It’s taco tuesday! yaaaaay! awesome ideas, my mom loves them leftovers too. Unfortunately i;ve never experienced a thanks giving. sitting around a table with friends and family saying what we’re each grateful for. SOunds like quite the meaningful experience. Great list, I really wanna try chili. This recipe is cool.. I can make my left overs more delicious to eat and can save money as well..
All these sound amazing! One of the things that excites me for the holidays is recreating leftovers. These are great suggestions! A Chilli soup sounds like the perfect winter warmer and it might help get rid of this stinking cold I have had for weeks! These are great sounding, delicious ideas! I can always use inspiration to turn all that extra turkey into something tasty. I am so bad at using left overs. Thank you for inspiring me with all the different ideas. These are great ideas after that big heavy meal! I usually use the bones of the turkey to make a broth for soup. Great ideas for leftovers. We certainlyhave plenty of them at my home! This is such a brilliant idea! I had no idea how to create something with leftover. You have a nice list here. We are fans of making wraps now instead of sandwiches, and use guacamole for a nice dressing. Good ideas! I am so going to try this! I am always looking for ideas for all the leftovers after Thanksgiving. No one wants to eat the same meal everyday for a week! I love these ideas, thank you! Love all these ideas! There are always so many leftovers I never know what to do with them. These are great ways to use your leftovers. I love to make Turkey Tacos. Casseroles are always a tasty way to turn leftovers into different meals. We always have so many extra leftovers every year!!! I am always looking for new ideas for using up our left over food. Cold pasta salad is not one I would have thought of. Thats my favorite of the lot too! Great ideas. Happy Thanksgiving! I would never have thought to use leftover turkey in so many ways. My husband would love the taco salad idea. These are great ideas, I seriously make enough food for us to eat leftovers for a week. It is our favorite meal of the year! I will take Turkey Wrap for 100! LOL seriously that is a good idea make a sandwich with all that leftover turkey! I’m so using your turkey chili idea! Beef chili is sooooo heavy. This will be lighter and better for us, and a fab use of leftovers! Ooooo so many great left over ideas!!! Left overs are one of my favorite parts of thanksgiving!! It’s hard to stray away from the plain leftovers every year. I LOVE the turkey tacos, I am so doing that this year. We usually do soup, but this year, we actually did make a quinoa salad!! With some cranberries and a raspberry vinaigrette, it was really tasty!! Wow! This is simply amazing! You really made some nutritious salad. Looks very exciting to try. Ok, for some reason all I want to do is make Thanksgiving tacos now!!!! Totally doing it! I always welcome leftover recipes! I am already sure I cooked way too much this Thanksgiving and will have plenty of food left over! Having a big holiday like Thanksgiving means a lot of leftover the next day. I love the sound of a turkey caserole. These are all such great ideas. I hate to toss out anything that could be turned into another meal. I do not like leftovers of anything. It drives my husband mad. But, he loves them and I am sure these recipes willl be great after the holidays. We are visiting friends so I don’t think we will have too many leftovers this year! These are so fun! Leftovers are one of my favorite parts about Thanksgiving! I’m usually a Leftover Sandwich type of girl but I’m not opposed to trying new things! I think the cold pasta salad sounds incredible. I will definitely be making that! Thanks for these ideas! It’s always good to have some for when you feel like you can’t eat straight turkey anymore. I haven’t thought of quinoa salad! Genius, I can’t wait to try it out!!! I love pasta and I also really like pasta salad. I think making a cold pasta salad with leftover pasta is a great idea. It will probably last a few days too. We are going to have turkey sandwiches for DAYS. I like the idea of tacos – so easy! I do the turkey wraps all the time, but never thought of Thanksgiving tacos! What an awesome idea! We didn’t have a ton of left overs. I was with over 20 people. It was good. This is great to look back on when I do have them though. This idea is very helpful and re-useful. Instead of throwing the left over food we can recycle it. Yum! These all sound like delicious ideas. Love repurposing the leftover food!